Are The Dodd-Frank Bill, The CFPB,and The FHFA Protecting The Consumer? The Republicans want to get rid of the Dodd-Frank Bill and The CFPB (Consumer Financial Protection Bureau) because they feel the excess regulations are actually hurting consumers. The Democrats want to keep both because they feel the regulations protect the consumer. Here is a direct quote from President Obama on Saturday, “As long as I’m president, I’m going to keep doing whatever I can to protect consumers, and our entire economy from the kind of irresponsibility that led to the Great Recession in the first place,” the president said in his weekly address. I can see both sides of the argument. Some of the regulations set up by the Dodd-Frank Bill and The CFPB have been helpful to the consumer. Some have downright hurt the consumer. Whenever you have a bill with over 2000 pages and 398 new regulations you will please some people and upset others. But as I read the President’s comments this morning it got me thinking. His direct quote was , “I’m going to keep doing whatever I can to protect consumers.” If that’s the case then why did Fannie Mae and Freddie Mac up their guarantee fees last month? Lets say you are buying a $400,000 home, putting down 20%, have 800 credit scores, and getting a 30 year fixed rate mortgage. That means, more than likely, the mortgage will be sold to Fannie or Freddie. The old guarantee fee with Fannie and Freddie meant the consumer would have to pay $1000 extra to get the mortgage. That’s crazy enough but now Fannie and Freddie have doubled that fee. It’s now $2000 or roughly .125% higher in rate. What? Fannie Mae made $1.9 billion in the 1st quarter of 2015 and they are increasing their fees? Are the Dodd-Frank Bill, The CFPB, The Federal Housing Agency, and all the other government agencies here to protect the consumer? Where do you draw the line between too much regulation and not enough regulation? How does raising Fannie’s guarantee fees protect the consumer? 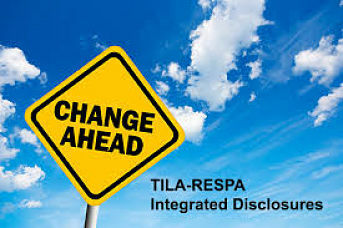 What is TRID?TILA-RESPA Integrated Disclosures. 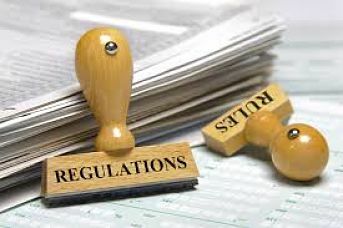 The “Know Before You Owe” rule as it is called, is considered the single most significant regulatory event in the residential mortgage business in thirty years. It was scheduled to go into effect August 1st but has been delayed until October 1st. Over the last 5 or 6 years the mortgage industry has been riddled with new rules and regulations. Some have been helpful and some have just delayed the process and helped no one. 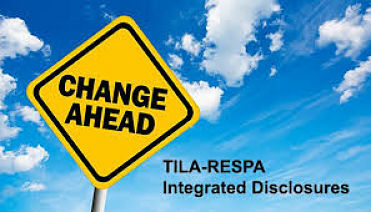 Although most people in the mortgage industry are plain tired of all the changes I have to say that I applaud this new regulation (at least that’s what I say now). I’ve been in the mortgage industry 28 years and have closed thousands and thousands of loans. The one thing that has always irritated me is how last minute everything is. Regardless of whether it’s the lender’s fault, the attorney’s fault, the realtor’s fault, or the borrower’s fault, the last minute closings happen way to often. Under TRID, hopefully this will come to an end. The main point of TRID is that the borrower should have a closing statement in their hands 3 days before closing. They should know the loan amount, payment, and cash-to-close 3 days before closing. No last minute surprises. When you are possibly making the single biggest purchase of your life don’t you think it’s fair to know the details at least 3 days before you pull the trigger? I think so. There will surely be a learning curve for TRID. Anytime new regulations are implemented it takes time to get all the bugs out. But this one is worth it. The borrowers should be fully aware of what the terms and conditions of the loan will be. They should not be forced into making a decision they are uncomfortable with just because the moving truck is waiting outside the house. The Consumer Financial Protection Bureau (CFPB) has made the right move with TRID. 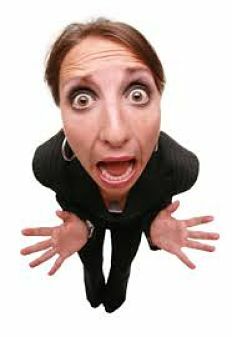 One of the most frustrating things in the mortgage business is the last minute rush closing. A client might be closing on a Tuesday and not know the exact amount needed at closing until that morning. That is just unacceptable. I have been in the mortgage business 28 years and finally it looks like this is going to change. Starting August 1st the CFPB (Consumer Financial Protection Bureau) is implementing a new policy where the borrower will see the HUD1 (settlement statement) at least 3 days before closing. The HUD1 will now be called the ‘closing disclosure’. This will force everyone including the lender, the attorney, and the realtor to be more proactive. I applaud the CFBP for making this change. While I’m not jumping up and down at everything the CFBP does, this might be their best idea. The lender: The lender is king of last minute. Basically, anyone that has gone through the mortgage process can relate. There are 2 big issues I see with the lenders. The first are the conditions. Since the mortgage meltdown in 2008 the conditions have gotten ridiculous. The lender wants everything and the lender trusts no one. I understand to a certain point. They are lending large sums of money and it’s their right to make sure the loan will perform. But currently they are over the top. The 2nd issue is the lender’s process. The closer does not get the file until the loan is CTC (clear-to-close). And guess what? That’s usually last minute. This new rule will force the closers to get involved earlier. The attorney: I can not tell you how many transactions we’ve had where the file is with the closer a week before closing, the package and instructions have been sent to the attorney, and the attorney waits until the day before closing to open the package. This will no longer be the case. The realtor: The NAR is obviously aware of this new rule and I believe has either started training or has it scheduled. One of the things I saw on the NAR web-site that will possibly be changing are the walk throughs. The talk is to make these at least 7 days before closing. I believe that’s a good idea. The other issue we’ve run into is that the realtor will make a change to the contract and not send the addendum to the lender or the attorney. Lets say after the inspection that the price is reduced. 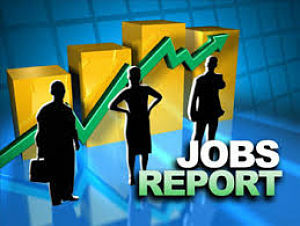 The day of closing the addendum appears and delays closing because all the figures are incorrect. Hopefully this will no longer happen because everyone will see the closing statement at least 3 days before closing. There are more things being implemented August 1st by the CFPB but this is the one that I see as a must. President Obama is expected to announce a reduction in the mortgage insurance premiums for new FHA mortgage loans tomorrow. 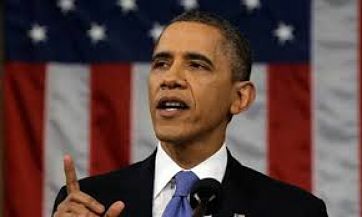 As part of an effort to expand homeownership among entry-level buyers, President Barack Obamawill announce a cut in Federal Housing Administration mortgage-insurance premiums during a speech in Phoenix tomorrow, according to three people with direct knowledge of his plans. 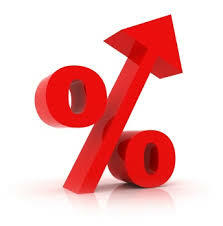 This reduction will bring the annual mortgage insurance premium down from 1.35% to 0.85% on a minimum down FHA loan. The annual FHA mortgage insurance premium is part of the borrower’s monthly mortgage payment. On a $400,000 loan amount, a borrower currently pays a whopping $450 a month in just mortgage insurance premiums (400,000 x 1.35% = 5,000, divided by 12 months). With the proposed mortgage drop, the monthly premium would be reduced to $283 (400,000 x 0.85% = 3,400, divided by 12 months), a savings of $167 per month. This is great news for those who need FHA mortgages as the mortgage insurance premiums have become increasingly expensive over the last few years. A reduction in FHA mortgage insurance premiums will help borrowers who need an FHA loan qualify for a mortgage. This is especially helpful for borrowers who have had a short sale or foreclosure in recent years as FHA has more forgiving guidelines than conventional, allowing one to buy a home again after 3 years since the distressed sale.